After five months of patient growing of my bush, I cut it again. 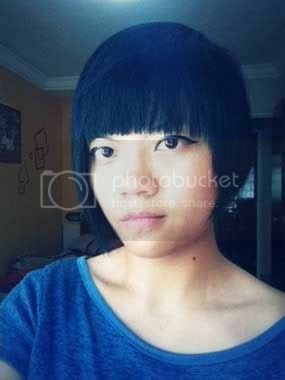 Ok, I conclude that my hair stylist LOVE experimenting with my hair. I told him that I merely wanted a trim (to make it neater), but he decided that bangs are “less boring” so he snipped it off before I could stop him, and I almost went to bang the wall. Then again, I’ve been receiving good comments or maybe people are just being kind, but no matter what, I know this is better than my previous mushroom head and astro boy hair. AND definitely more gu niang (*cringe) and less butchy. 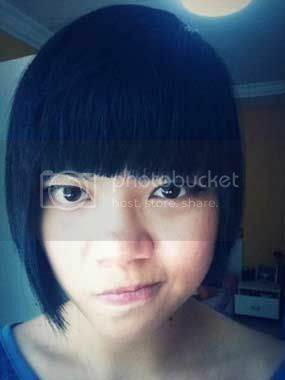 But now, I’m contemplating whether to go back to this same stylist for my next hair cut lei..